It is a special process that aims to recognize the validity of a judgment of a foreign court and therefore allow them to run in a different State. May so provide international treaties. In the event that there is no International treaty will serve the principle of reciprocity between the two countries, ie. if the state of origin of the judgement granting or not the judgments delivered value in Spain. In the absence of the above, the statement must meet the following requirements: a) that has been issued as a result of the exercise of a personal action, b) that has not been rendered in absentia, c) the obligation is lawful Spain, d) that meets the requirements in the nation in which it was made and according to Spanish law to be considered authentic. This is not a new procedure that is going to resolve the matter again, simply verifies that the foreign judgment meets the requirements to be valid and therefore is enforceable in Spain. Where should I provide it? Before the Courts of First Instance of the domicile or place of residence of the party against requesting, or the person who is referred to the effects of those. Alternative in the place of execution or where those judgments should produce their effects. If it deals with commercial matters shall be competent Commercial Courts. If the judgment is irreconcilable with an earlier judgment given in another Member State or a third country between the same parties to a dispute involving the same object and the same cause. a) A certified copy of the judgment legalized or with the Apostille of The Hague. b) Certificate of testimony that the judgment is final. c) Certificate that the judgment has been served on the defendant or if it has been rendered in absentia. d) Sworn translation of the judgment. e) Photocopy of the DNI / NIE. f) General power of attorney. g) If it is a judgment enforcement procedure for divorce, marriage certificate, birth certificate of children if any, and financial settlement if divorce has been mutually agreed. If you have any concerns or enquiries about Spanish Law, please do not hesitate to contact me. 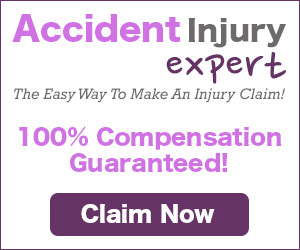 Click The Banner Above To Start Your Claim Now! Including Legal Information Resources, Offer automatic, instant and free directory submissions.